Ahead of the show’s premiere on October 7th, The CW has unveiled the official poster for its new series “The Flash” based on the DC Comics superhero. 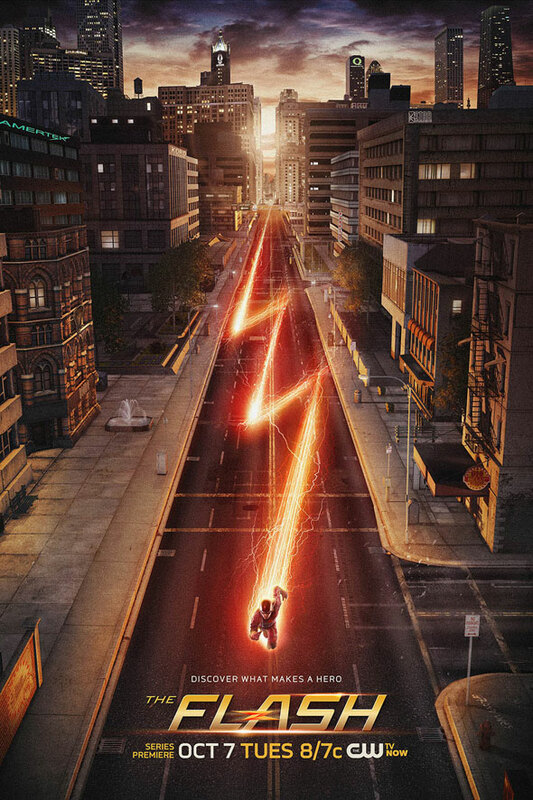 The key art shows Barry Allen (Grant Gustin) in his red suit zipping through a darkened Central City street with a lightning streak behind him. The poster is also said to include a full ten ‘easter eggs’, can you spot them all? Amongst them are the Queen Consolidated building, Star Labs, the Amertek building sign, the Kord Enterprises building, a Big Belly Burger joint and graffiti saying ‘GRODD LIVES’.